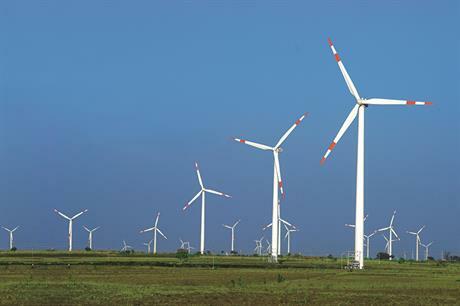 INDIA: The government is planning further wind auctions in November, December and February, following the success of two previous rounds that caused costs to fall drastically. Encouraged by the results of the last two federal wind auctions of 1GW each, which saw tariffs tumbling to INR 3.46/kWh and INR 2.64/kWh respectively, the government is planning to auction an additional 4.5GW of wind power capacity in the next four months. The auctions will begin immediately with about 1.5GW to go under the hammer this month, followed by two more 1.5GW auctions in December and February. "The government wants to speed up the capacity installation in wind projects," said a Ministry of New and Renewable Energy official. Like the previous rounds, the new auctions will also be conducted by Solar Energy Corporation of India (SECI). A possible major change that in new auction guidelines is the increase of the single bid capacity cap to 400MW, up from 250MW in the last two rounds. The government does not expect a similar reduction in tariffs as seen in previous auctions but will be keenly watching the bid prices and may hold back on auctioning capacity if there is evidence of cartels forming.